Bring your painting skill to a higher level! 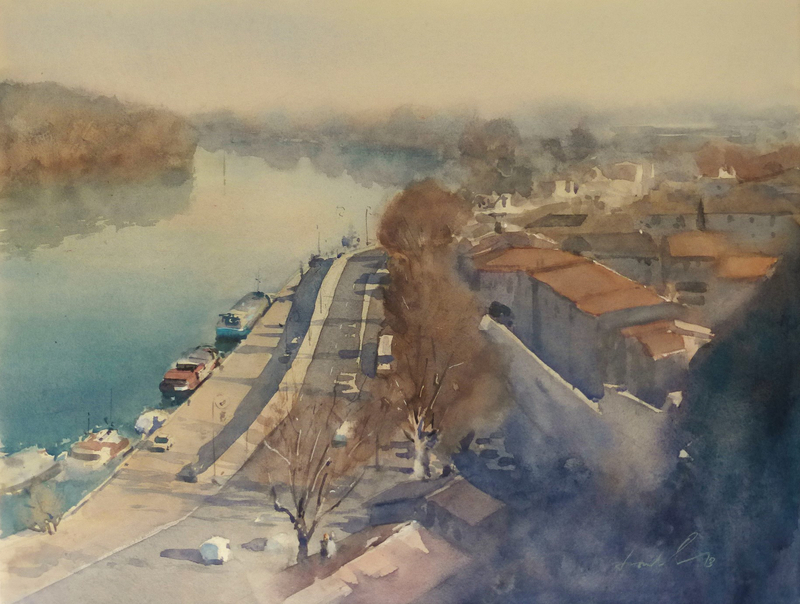 Learn how to paint luminous watercolors by manipulating tonal values, color and edge. In this class, Frank will share advanced painting techniques to create atmosphere, balance and unity in your work. Topics will include design and composition, color and lighting, positives and negatives, simplification of shape, and atmospheric effects. 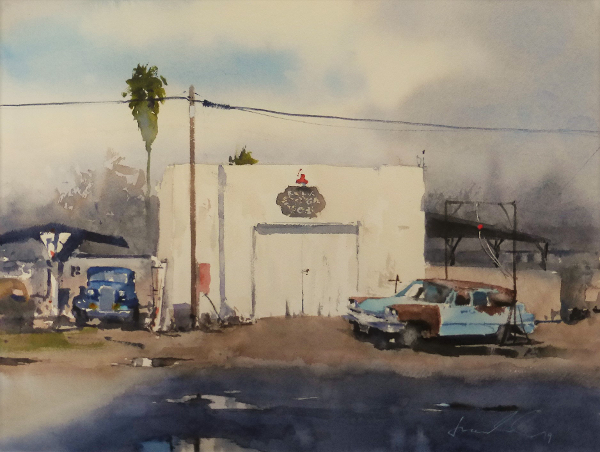 The techniques you will learn in Frank’s workshop transcend the watercolor medium. Separate yourself from the watercolor crowd and experience firsthand why Franks courses are so popular! Imagine the best art workshop vacation of your life: Painting in a charming fishing village and other exotic locals along the gorgeous Pacific coast of Mexico , with this inspirational workshop leader! Immerse yourself in the joys of authentic Mexican village life at one of the most beautiful and arts oriented locales in Latin America, Casa de los Artistas, in the serene village of Boca de Tomatlan, 10 miles south of Puerto Vallarta. 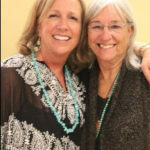 “My Casa Experience was Reflective, Restful and Rejuvenating. I came in as an empty balloon and was filled with fabulous food, friends and memories as I float home on cloud 99 – A chance to pause and regain your “sense of self” through the simple lifestyle of “less is more”. Rustic Elegance with a terrain to tone every muscle in my body. Fabulous food and accommodations and great instruction – 10 Stars!!! – I would encourage people to begin their “Boca Experience” before they arrive. -Walk comfortably on uneven terrains and have fun walking up inclines several times a week before arriving, hike in the woods a few times so you are sure of your footing, there are uneven trails and cobblestones in the Boca and a lot of stairs at the Casa, (studio is on the 3rd floor). Something along the lines of typical plein air instructions for painting in plein air – learn to deal with your equipment and the elements BEFORE you get here, easel set ups, sun hats, bug repellent, paint pallette, etc., etc., etc. – this way you’ll be ready for optimal enjoyment! 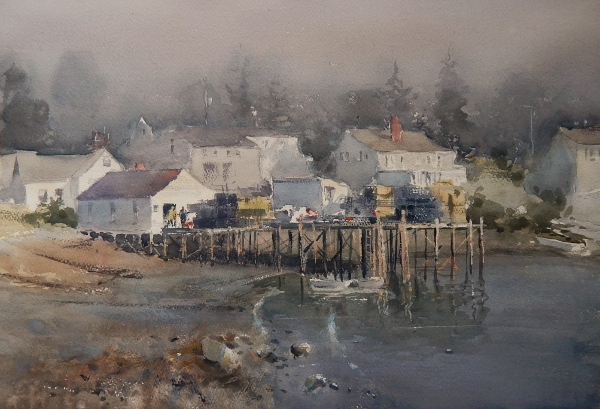 A painter’s painter, Frank Eber works in a direct, loose style influenced by the Old World masters. 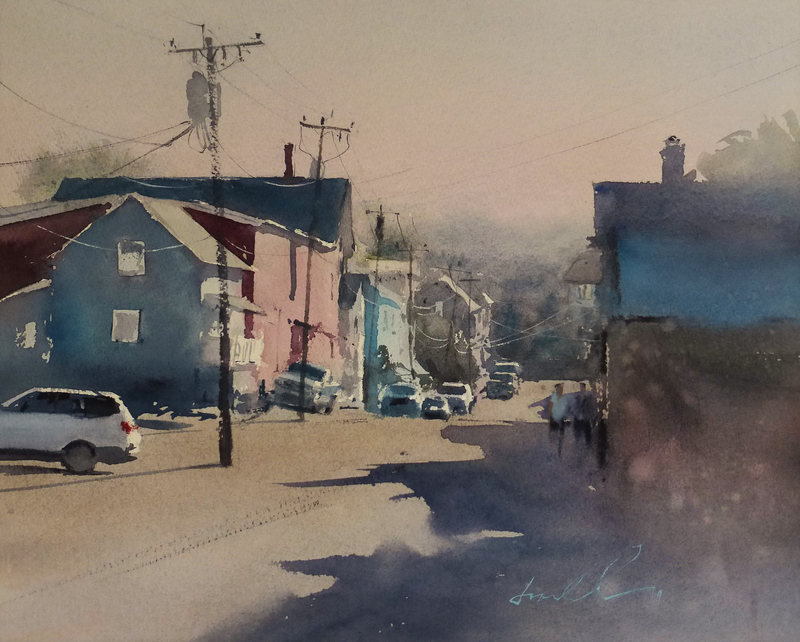 Typical in his art are color mixes and light that evoke nostalgia while remaining absolutely in the present. 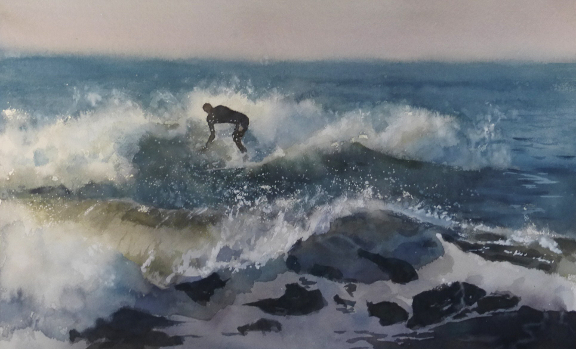 Frank’s watercolor workshops reach beyond technique, encouraging individual expression and observing the elusive balance of forces that create beauty in painting. All levels are welcome but students should have an understanding of the watercolor medium and of simple one point perspective. 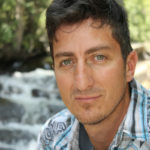 This is a workshop that will be both fun and an in depth learning experience. We will be getting inspiration on location from the Casa Studio, around the Boca and at the exotic locations your hosts will bring you, (included in the price of the trip). 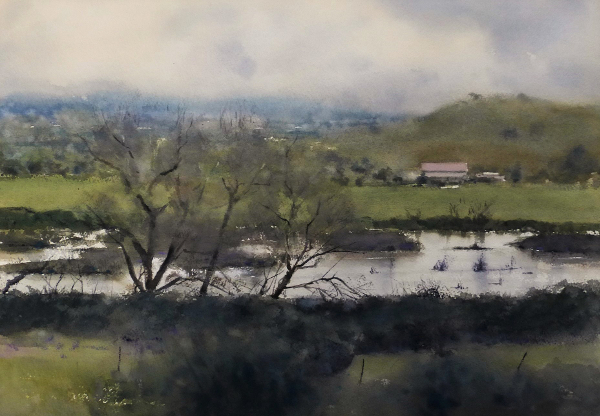 Come and spend a week relaxing in the tropics, finding inspiration and learning from one of the great contemporary watercolor artists teaching today. REGISTER NOW TO RESERVE YOUR PLACE! PLEASE WRITE IN THE WORKSHOP ARTIST & DATES YOU ARE SIGNING UP FOR WHEN REGISTERING!